Last week, you may remember me posting about our homemade laundry detergent that I made and happen to love immensely. Well, now I have another reason to love it, and it’s because I have improved it. Let me give a bit of background first. The reason I started researching homemade detergent is NOT because I wanted to add another project to my arsenal. I mean, it’s really easy to just go to the store during my grocery trips and pick up another bottle of detergent. However, with four little ones and two adults in this house – one which happens to have atopic dermatitis and had to start looking for detergents that are going to get my clothes clean and fresh smelling without irritating my skin. Dreft – costs too much. All that was left was me making my own, and off I went to Pinterest. BTW – Pinterest has to be the most amazing spot on the internet – well, besides this here blog – because it allows you to be super crafty without having to do HALF the work that you normally would! How’s that? Pinterest helped me with the ladybugs book party – but I’m rambling, so I’ll keep it moving. I typed in laundry detergent and all these pictures of borax and stuff popped up. After clicking around, I found out that the majority of the recipes called for three ingredients, and varied on the others. Well, on Sunday, I finally found the golden relic – Fels Naptha soap at one of the neighborhood grocery stores that I frequent. At $1.59 a bar, it’s not too bad either. 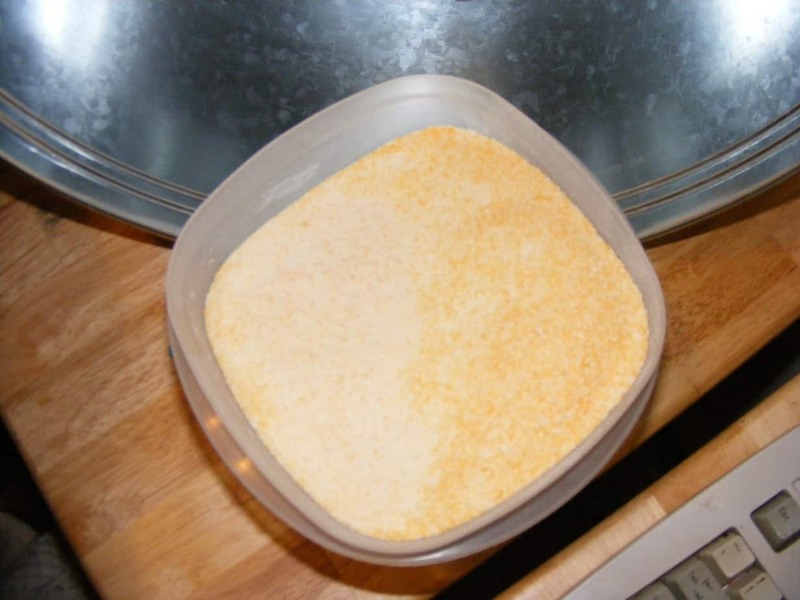 Today, I grated it (be careful if you have little ones around – it’s a bright orange cheddar cheese color and SOMETIMES little people tend to think that you are grating cheese – SMH) and then blended it in my food processor with the other powders into a powdery mix. No water added like I did last time, but only because I made so much. This is what I got. It smells like laundry detergent. And it’s orange. I am happy. We’re testing it out on the cloth diapers tomorrow and we will definitely have before and after pictures. I am certain that Mr. Nicholes will look at me like I am insane, but it is what it is. It is a badge that I wear proudly my dear. Let’s hope that it works as well as I am hoping. Dreft reeks of cheap perfume. LOL! Oh, and I figured out how to use this in a HE washer. If you used the desired amount and mix it with water before hand until it dissolves, you should be just fine. And here you have me looking for a BAD P word!